Friday - Saturday 13.00-17.00 hrs. Sunday 13.00-16.00 hrs. Every month (except July/August) there are concerts in the museum, in which different aspects of the pianola music are presented. The pianola is already a hundred years old, but we can still enjoy the music of these wonderful instruments, thanks to the smart technology that makes them work. 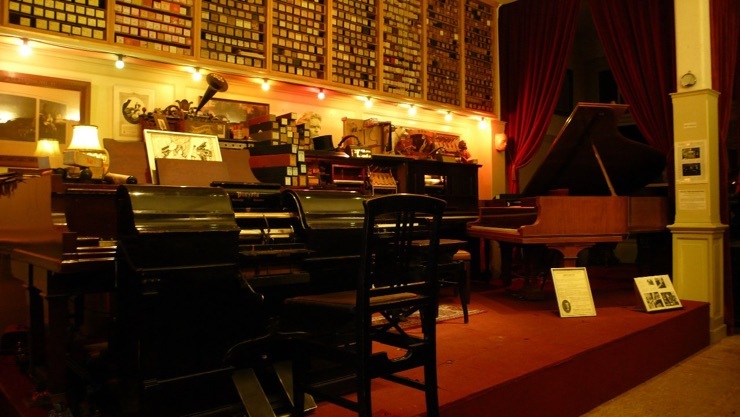 The Pianola Museum is located in the Jordaan, a 17th century quarter of Amsterdam, west of the old town centre. Come and listen to the masters of the keyboard of 100 years ago. The museum has a collection of automatic pianos and related objects. There are over 30.000 music rolls in the museum archive. Nearly all of them can be played on the different instruments in the museum.